Salem is the region’s premier city to start, grow or relocate your business - whether your business is retail, dining, office or industrial in nature. Below you will find a partial list of available properties in Salem. 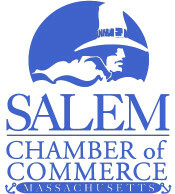 Contact the Salem Chamber today for help on finding the perfect location for your business! If you would like to list your commercial property please fill out this form. Description: 3 individual, personal workstations in small professional office. Close to courts & train station. Perfect for attorney, consultants, etc. Description: Office Share. Private office space in renovated loft building with high ceilings and exposed heavy timber construction. Single Room. Located in downtown Salem. No elevator, utilities included. Description: Office Share. Great retail space in the heart of downtown Salem right next to Starbucks, Bank of America, H&R Block, and other shops. 15 foot ceiling height. Plenty of municipal parking in front. Rent is tripe net. Call RCG for more info and showings. Description: Office Share. Great office with conference room in downtown Salem. Large common area, convenient location, professional building. Rent includes all utilities. Description: Furnished office suite in downtown Salem. Large common area, convenient location downtown. Rent includes utilities. Description: Office Share. Ideal for an attorney or accountant looking to have the benefits of a larger office environment but be a solo/practitioner or 2 person firm. Offices (one, two or three offices available, 2 unfurnished or 1 furnished) available for lease in a shared office suite with a patent attorney.The entire office space of approximately 2,400 square feet includes secretarial area, reception, copy/file room, kitchenette, and large conference room (seats 6-8 comfortably) for meetings with clients. Phone/Contact: For more information please contact: 978.927.7377 or atissera@protectinventions.com. Description: Shared office space available for small company. Turn Key ready located in Salem MA. Commerce Office Park, Swampscott Road. All utilities included. It now also has a separate entrance and includes all office furniture, utilities, etc. Shared Common Area, Bathrooms, Kitchen, Gym, Parking as well as warehouse with loading dock. Phone/Contact: For more information please contact: Lissa Brownlee @ 781-592-3135. Description: Downtown Salem basement space with direct street private access. High ceilings, nice hardwood floors and two restrooms. Perfect for a fitness studio! Description: Rent-A-Desk ,a new concept in office workspace with Panoramic Ocean Views starting as low as $150 per month at Shetland Park. Great alternative for those who are tired of working from home or have an option to work remotely for their company. Love where you work with this new affordable program which includes Wi-Fi, Printer/Copier/Fax service, address & mail handling, Conference room, Break room, all utilities and free garage parking. SHETLAND'S HALLMARK: HAPPY TENANTS. Description: The Small Business Center at Shetland Park is the perfect office space solution for start-up businesses, global companies in search of small satellite locations, and expanding home office businesses that require a separate space for their company, without the major commitment of a substantial commercial lease. The all-inclusive space offers access to a conference room, lounge and seating areas and has no hidden charges, fully furnished office, free WiFi, Printer/Copier/Fax Equipment, address & mail handling, all utilities, convenient surface and garage parking, Panoramic Ocean Views Available and Right-Sized for Start-Up Development. Love where you work with this affordable office space solution with room to grow. SHETLAND'S HALLMARK: HAPPY TENANTS. Description: This office space in Shetland Park provides the right sized office space now, and room for your expansion down the line, some with panoramic views of Salem Harbor and beyond. We help you design the space to fit your needs. The rental rate includes base year real estate taxes, building insurance, snow removal, structural and roof maintenance, common area maintenance, with no hidden fees. Shetland Park is ½ hour from Logan Airport, and accessible by public transit to Park's entrance, nearby commuter rail, boat, and even Salem Harbor Ferry, with plenty of on-site parking. Love where you work with this affordable office space with room to grow. SHETLAND'S HALLMARK: HAPPY TENANTS. Description: Whether you need 1,000 or 100,000 sq. ft., Shetland Park can provide it and offer room for your expansion down the line. We have the right-sized warehouse space for your business with unlimited free parking. Shetland Park’s Warehouse Space is conveniently accessible by Routes 128, 114, 107, 35 and 1A. Route 128 is a short fifteen minutes away, and Boston’s Logan International Airport is a mere 30 minutes from the office park. Bus service is provided by the Massachusetts Bay Transportation Authority (MBTA) stopping at Shetland Park’s Main Entrance. Salem’s MBTA commuter rail station is a 10 minute walk from the Salem stop to Shetland Park. The Boston/Salem Harbor Ferry is a 7 minute walk and Marina slips are available at Shetland Park. www.shetlandpark.com SHETLAND'S HALLMARK: HAPPY TENANTS. Description: Shetland Park offers varied use, first floor, light manufacturing, and R & D space with rental rates from $8.00 per sq. ft. that includes base year real estate taxes, building insurance, snow removal, structural and roof maintenance, common area maintenance, with no hidden fees. www.shetlandpark.com SHETLAND'S HALLMARK: HAPPY TENANTS. Rental Rate: Lowest Rates on North Shore…GUARANTEED. Description: Clear span, wide open space. Drive-in doors, tailboard loading docks. Well-lit and secure facility with easy access to all major routes.